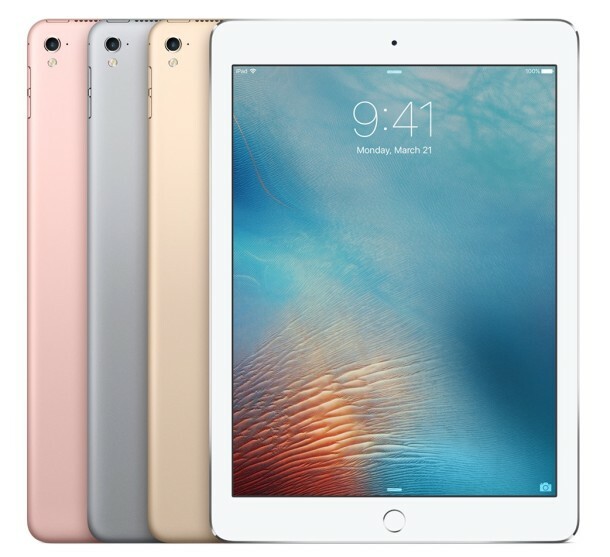 Apple has released an updated version of iOS 9.3.2 for users of iPad Pro 9.7″ models. The prior iOS 9.3.2 release for that specific model line of iPad Pro suffered from a few problems that could potentially make the device unusable with an “Error 56″ message. While the issue didn’t impact all iPad Pro owners, Apple ended up pulling iOS 9.3.2 for iPad Pro 9.7” as they worked on a resolution, maintaining the iOS 9.3.2 update to be available for all other iPhone, iPad, and iPod touch models. All other iOS 9.3.2 IPSW files can be downloaded here, remaining the same as they were when originally released a few weeks ago. For those with a currently bricked iPad Pro 9.7″ model, putting the device into DFU Mode and using the appropriate updated iOS 9.3.2 IPSW file should be sufficient to resolve any ongoing issue. 3 weeks to release a simple patch for the brand new flagship iPad? That is… not too great. At least in another few weeks we will have iOS 10 to check out. The changes are so small they could all be point releases, giving a major new version number every year for a single feature or two is rather silly. No, it’s not a fix for me either over the air or thru iTunes. The update will not stick, I’m getting the screen with 3 iPads and a 10 second timer, just can’t update. Why no new features added to this update??? I want new stuff every update. Apple is useless. This update is useless! You’re the useless one, trolling this blog constantly. You don’t even have an ipad pro, and wouldn’t be able to find the new features even if you did. That wharf is not me. I am the real wharf. My new iPad Pro 9.7 cellular says iOS 9.3.2 is up to date, yet it is Version 13F69. What gives? Tim Cook is a fine CEO, he is not the problem. No he’s not a visionary but he can run the big ship, which is important. Technically in the USA a CEOs job is all about profit optimization for shareholders, which Cook does very well, Apple is undeniably serving shareholders first at this point, customers are somewhere at the bottom of the hierarchy. The work is done underneath Cook anyway, almost like an American President, he sets the agenda. Three problems are with Apple: they lack quality control and nobody seems interested in fixing that, they have no visionary onboard, and they have nobody to reign in the garbage. Some of the other characters that are around are provably unable to do their job up the standards required for a company of their size with a customer base of their size (services is the most obvious example). Nobody is around to give anyone hell when things go wrong. They fired Forstall long ago, who was Jobs protege and most like him in obsession for details, and now we have the remaining Apple staff singing kumbaya while they flush the company into the toilet. Apple is becoming Microsoft, and Microsoft is slowly improving. Meanwhile Google sits in the background making Chromebooks which are now the top selling computer, and Android, which needs a ton of work, but it’s 90% of phone marketshare. I wonder if Edward Cue is going to be at the Warriors game courtside again? I think this is one of the best posts I’ve read anywhere.